Note: This option is available starting from Business plan. 2. 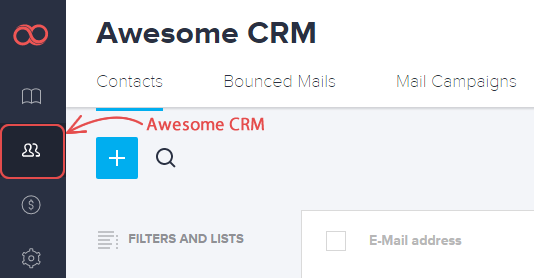 Click the Settings button in the upper right corner of the page and go to the Export tab. 3. 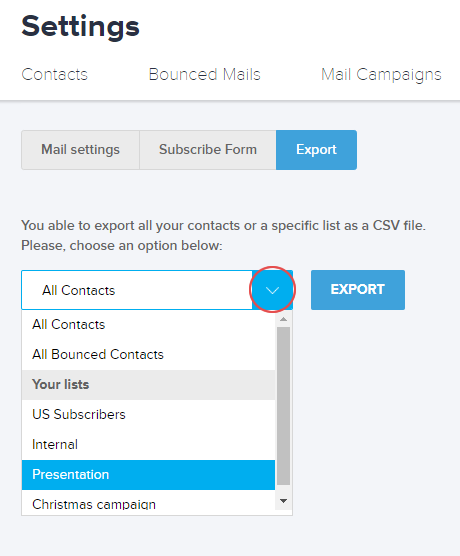 Choose the contacts list you wish to export as a CSV file then click the EXPORT button to proceed. 4. Once again click the EXPORT button to confirm the procedure and it will download automatically.